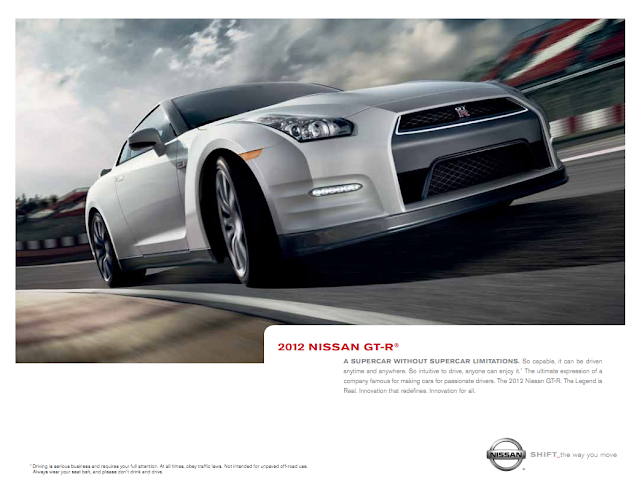 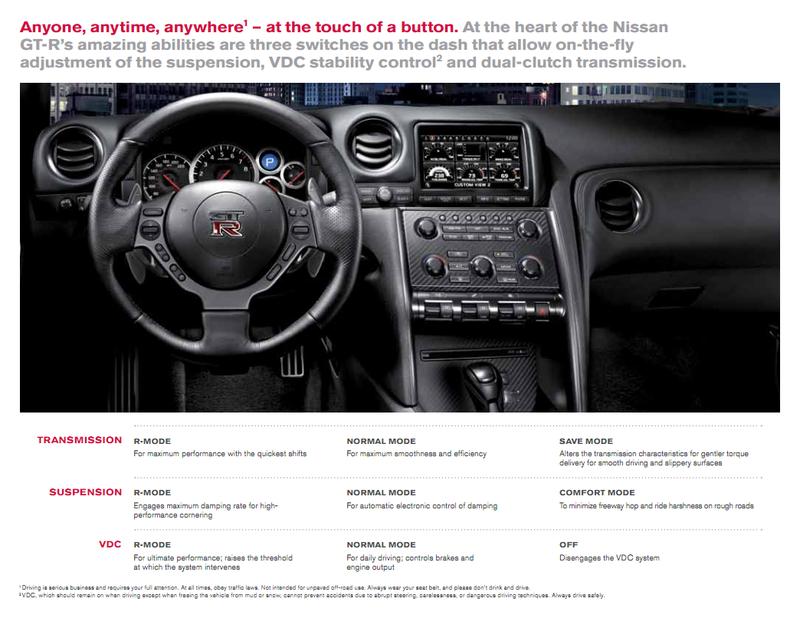 Nissan's latest electronic brochure for the 2012 Nissan GT-R. For 2012 the Nissan GT-R has undergone a minor change, improving horsepower, handling, braking, cooling, and interior refinement. 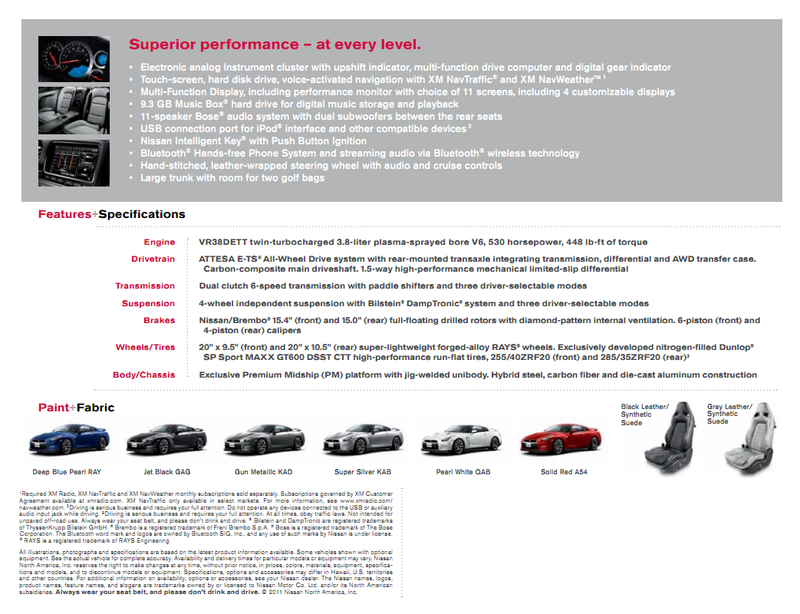 Two new colors are now available. 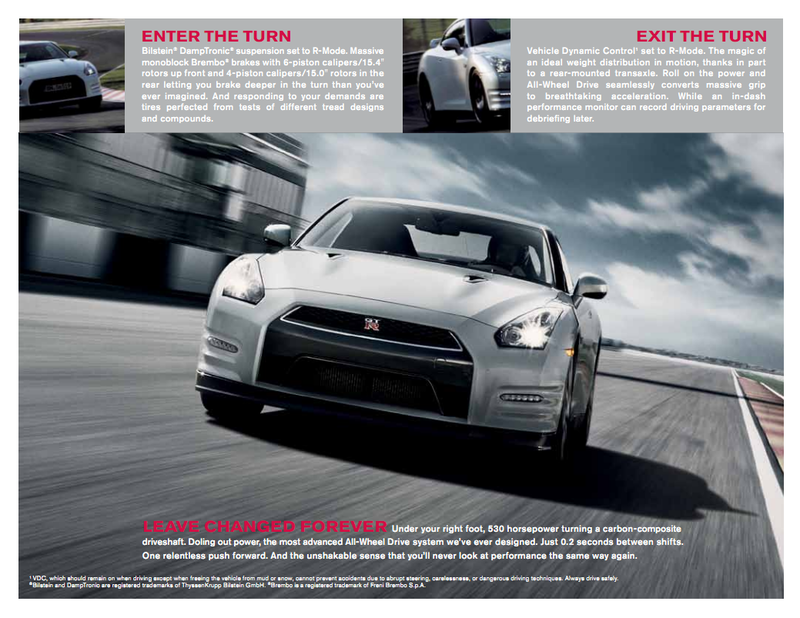 This brochure does not mention the Black Edition, which should be landing in dealerships around May 2011.